Italian librettist and playwright Salvadore Cammarano (1801–52) was a leading librettist of his time. 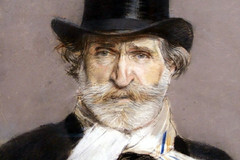 He is best known today for his many librettos for Donizetti and Verdi. Cammarano was born in Naples and trained as a painter and sculptor before becoming a playwright. He wrote his first libretto in 1832, Belisario (rejected by Barbaia and later set by Donizetti), and soon went on to work as a poet and stage director for many theatres around Naples. He first collaborated with Donizetti on the hugely successful Lucia di Lammermoor (1835) and went on to write the librettos for every serious opera Donizetti wrote while he remained in Naples, including L’assedio di Calais (1836), Roberto Devereux (1837) and Maria de Rudenz (1838). 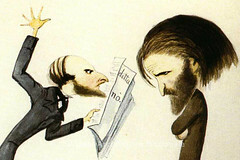 Donizetti later adapted Cammarano’s libretto Il conte di Chalais as Maria di Rohan (1843). Cammarano worked for the Neapolitan royal theatres for the rest of his life, writing librettos for such composers as Mercadante (La vestale, Medea, Virginia), Cammarano (I ciarlatani, Il ravvadimento), Pacini (Saffo, Bondelmonte, Stella di Napoli) and Verdi (Alzira, La battaglia di Legnano, Luisa Miller, Il trovatore). 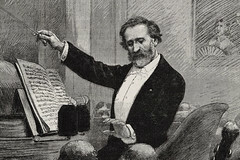 Cammarano was one of the most important operatic poets of his generation. His librettos, all adapted from other sources, were meticulously crafted, and commanded respect from the composers who set them.